and an expert panel discussion on practice management on Saturday May 4.
existence. Come see the poster version at the conference. Our 2017 campaign is titled #SocktheSoul where funds raised will provide socks for the less fortunate. Our campaign page can be reached HERE. A $20 donation provides 25 pairs. HPRAC’s report was released on March 07, 2017 – marking almost 10 years since the Council began its work to update and modernize the role of chiropodists and podiatrists. Unfortunately, not only is the Society disappointed by the length of time it took for the report to be completed and released, we are also extremely disappointed in its contents. Rather than repeating the Society’s concerns about key components of the HPRAC report, I would like to start by reminding you that HPRAC is only an advisory body. As a result, the Government of Ontario is not bound to adopt any of the recommendations contained in the report – a position we heard loud and clear when the Society met with a senior advisor to the Minister of Health and Long-term Care. The Ontario Society of Chiropodists would like to state our position which may help guide you in your feedback to the Ministry. We are in full support with the submission from the College of Chiropodists of Ontario. The OSC believe we should have a unitary profession with the title podiatrist, which is consistently used around the world and Canada to define a foot specialist. We agree in the use of title, Podiatric surgeon for those who have achieved additional bone surgical skills and competencies. The podiatry cap would have to be lifted should we all become "Podiatrists". Podiatry cap in the Chiropody Act, 1991 reads as follows, "No person shall be added to the class of members called podiatrists after the 31st day of July, 1993. "This prohibition against the registration of new members of a regulated profession is unique and unprecedented in Ontario. The cap has been the most obvious impediment to the natural evolution of the chiropody profession in Ontario. The Podiatry Cap must be removed, otherwise we will not be called podiatrists. We believe there should be one scope which includes the list of new and expanded authorized acts stated by the College of Chiropodists. We support the College of Chiropodists proposed new and expanded authorized act as they reflect national and international models. The OSC believes that engaging in the practice of podiatry, a member would be authorized, subject to the terms, conditions and limitations imposed on his or her certificate of registration, to perform the following proposed new and expanded authorized acts as per the College of Chiropodists of Ontario. c. Setting or casting a fracture of a bone or dislocation of the joint, in the foot or ankle (Not currently authorized for either chiropodists or podiatrists). d. Administering, by injection, a substance in the Regulations (Currently authorized for both chiropodists and podiatrists, but limited to injections into the foot). e. Applying or ordering the application of a prescribed form of energy (Not currently authorized for either chiropodists or podiatrists). f. Prescribing, dispensing and selling a drug designated in the Regulations (Chiropodists and podiatrists are currently authorized to prescribe, but not to dispense or sell). h. Operate radiographic equipment, prescribe radiographs within the podiatry scope of practice and be designated as "radiation protection officers” under the Healing Arts Radiation Protection Act or its successor. (Currently authorized for members of the podiatrist class and for DPM chiropodists). The Ontario Society of Chiropodists would like to focus our feedback submission on chiropodists professional competencies which are not currently recognized and need to reflect the advances in the chiropody educational program. We believe the four main core changes should reflect the competencies we believe chiropodists already have or would be easily acquired with additional training, upgrading and continuing education course. Communicating a diagnosis identifying a disease, disorder or dysfunction of the foot or ankle. We are not asking to diagnose systemic conditions as the HPRAC report alluded. Chiropodists have the competencies to formulate a diagnosis and a differential diagnosis, as well as ability to communicate it to other health care providers of the foot and ankle. This is supported by the following documentations: PES report, Michener Courses Competencies, College of Chiropodist Core Competency Profile document. It is non-sensical that we must formulate a diagnosis and a differential diagnosis but we can't communicate that diagnosis to the patient, yet require informed consent from the patient to agree to the treatment plan. The fact that our current scope allows us to prescribe drugs, to inject drugs and to do surgery, yet we are not able to communicate a diagnosis, makes no sense and must change. These authorized acts are diagnostic in nature which complement and reinforce our diagnosis. We would like to eliminate circular referrals to the physician to assist in providing comprehensive care. Referring our patients back to the primary care physician delays timely care and increases costs for the Ontario health care system. We are not trying to diagnose a systemic condition and we are not asking for all tests but only those specific to the podiatric scope of practice. The care would be immediate and comprehensive. There will be no increase or overuse in testing as we are currently requesting these tests through the primary care physician. There would be no duplication as the patient is seeing us for their foot condition. We would fully support a mandatory reporting to the physician of any tests performed, to avoid further costs. Chiropody education has evolved in Ontario as the entry requirement at the Michener Institute for chiropodists is an undergraduate degree with a 3 year chiropody program; that is 7 years of education which is comparable to the DPM program. We are no longer a post-high school diploma of 2 or 3 years. 86.5% percent of the chiropodists since 1993 have undergraduate degrees. We need to remind the government that chiropodists presently have controlled acts which have a much greater risk of harm then ordering diagnostic tests such as lab work, x-ray, or forms of energy. *Cutting into subcutaneous tissues of the foot. *Prescribing drugs designated in the regulations. *Administering, by inhalation, a substance designated in the regulations. Did you know that 94 percent of chiropodists perform surgery? Did you know that 73 percent of chiropodists prescribe oral medications? The College has proven they can regulate and protect the public by regulating chiropodists and podiatrist who are performing these invasive controlled acts: injecting, surgery and prescribing drugs. It makes no sense that the ability to diagnose or order diagnostic tests would be of higher risk of harm, then what we already competently do. I hope this helps clarify OSC's position and you can use some of this information as you discuss this with your colleagues, other health care professionals, your patients, your local MPP or in your written feedback submission to the Ministry. Please take time over the next few days to share your thoughts with the Minister. With your help, we can communicate these core positions to the Ministry of Health and Long-term Care by April 20, in order to make sure the Minister and his team better understand the indispensable role we play across the province. The Ministry of Health and Long-Term Care public consultation on the report and recommendations. Written submissions and feedback can be sent to: regulatoryprojects@ontario.ca. The Society hopes that the positions will help outline the OSC's views at this critical time, and that you will take the opportunity to share the value of the profession with other health care professionals, your patients, your local MPP or in your written feedback submission to the Ministry. If you would like to discuss any further you can email president@ontariochiropodist.com. HPRAC Report is Now Available! It is my great pleasure to share with you the news that the Ministry of Health and Long-term Care has just released the HPRAC report into the future of foot care in the province. As you will remember, HPRAC - the Health Professions Regulatory Advisory Council - launched a consultation process in 2007 designed to update and modernize the role of chiropodists and podiatrists. The OSC was actively involved in this process, both on our own and in collaboration with the College of Chiropodists of Ontario and the Ontario Podiatric Medical Association. Now that the report is out, stakeholders will have 45 days to offer their feedback, before the Ministry adopts a final set of regulatory changes. Working with our public affairs consultants at Santis Health, the OSC will be preparing a summary of the HPRAC report that we will share with all of you over the next few days. Once we have formulated our response to the report’s recommendations, we will also be meeting with the office of Dr. Eric Hoskins, Minister of Health and Long Term Care to share our advice and feedback. We look forward to sharing our initial feedback and to hearing YOUR thoughts over the coming weeks. To make sure your voice is heard, join the OSC today! Here is the access the HPRAC report. The Federal Government is considering taxing health benefits. For those who don't know me, my name is Sonia Maragoni, I am a wife, a mom, a podiatric practitioner, and in my extra spare time I volunteer as the president of the Ontario Society of Chiropodists . I thought I would write this as I reflect back on 2016 and what I see for the future in 2017 for the OSC. First I want to say a BIG thank you to all of the Board of Directors who have been dedicating their free time and passion to the profession. We welcome any of you wishing to get involved and giving back to the profession by volunteering with the OSC and appreciate your continued support by renewing your membership. In 2016 the OSC hired a new association management firm and even though we may have had a few bumps in the transition, we continue to be impressed with Carol Ford, the OSC manager, on her skills to help increase the efficiency of the OSC. We have also launched the new website, which allows the public to find a local practitioner. The website also features a members site separate from the public site. We have actively met with many MPPs as well as senior policy advisors with the Premier and Minister of Health to advocate for the change to the podiatric title, increased scope and controlled acts. We have increased our continuing education events with 3 workshops and one conference, to which over 350 practitioners attended. We have also partnered with the practitioners in the public sector to help with the request of pay equity and evaluation. We have introduced preferred partnership programs with Perkopolis, CAA and others. We have created a mediation program to aid in dispute resolution between patients and practitioners. Wow! It's been a busy year! We are just so grateful for support we are receiving as we end the year with 265 OSC members! Another goal this year will be to build bridges between the other provincial and national associations to work on common goals like promoting the profession during Foot Health Month, Insurance issues, Foot Wounds & Diabetes. We will continue to represent chiropodists' interests as we attend meetings on your behalf with the Coalition of Regulated Health Professional Associations, the College of Chiropodists and the Ministry of Health. We also will be launching our new fee guide and coding with a unique practitioner stamp. We have planned four workshops: acupuncture, how to set up an in-office orthotics modification lab; a learn and play golf/spa day; as well as surgical cadaver workshop and our annual conference scheduled for this May! We will be exhibiting and educating physician, pharmacists, nurse practitioners, nurses and other health care practitioners as we attend the PriMed , CAWC, Canadian Diabetes, and Nurse Practitioner conferences. 2017 looks awesome! Please join us in welcoming the new year! We wish you all healthy and happy new year everyone! Sonia Maragoni, B.Sc. Podiatric Medicine, B.H.A., D.Ch. Keynote Speaker Announced for OSC Conference! The OSC is very happy to announce that Dr Kevin Kerby as the Keynote Speaker for the Annual Conference on May 05-06, 2017 in Toronto! 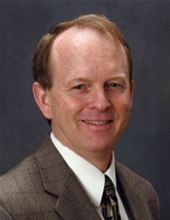 Dr. Kirby has authored or co-authored 26 articles in peer-reviewed journals, has authored or co-authored five book chapters, and has authored four books on foot and lower extremity biomechanics and orthosis therapy, three of which have been translated into Spanish language editions. He has invented the subtalar joint axis palpation technique, the anterior axial radiographic projection, the supination resistance test, the maximum pronation test and the medial heel skive and lateral heel skive orthosis techniques. He has also created and developed the Subtalar Joint Axis Location and Rotational Equilibrium Theory of Foot Function and has co-developed the Subtalar Joint Equilibrium and Tissue Stress Approach to Biomechanical Therapy of the Foot and Lower Extremity. He has lectured internationally on 33 separate occasions in China, Spain, Belgium, New Zealand, Australia, England, Dominican Republic and Canada over the past 23 years on foot and lower extremity biomechanics, foot orthoses, and sports medicine. He has also lectured extensively throughout the United States. To read more about Kevin A. Kirby, DPM Full bio click here.